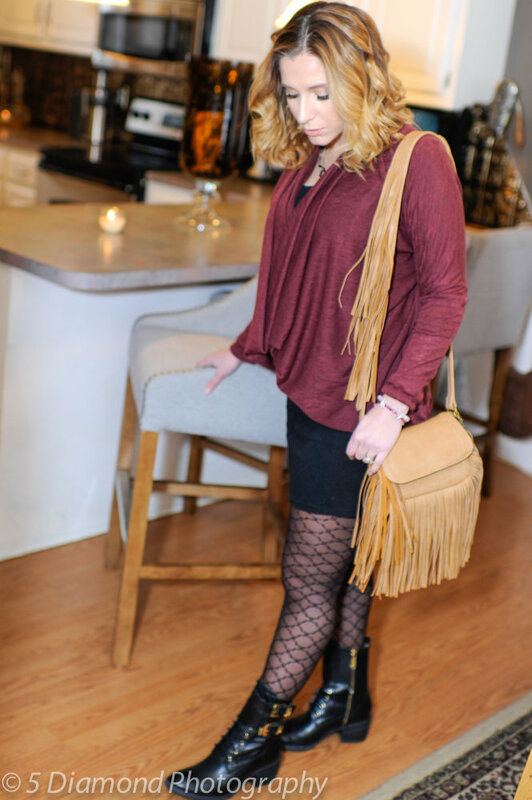 One of my favorite looks from the Candy Stilettos lookbook on Serene Sky boutique is this burgundy and fringe style that exudes comfort and style. Even though it’s March, the temps have been in the 30’s so still hanging onto my boots and thicker tights for the season! 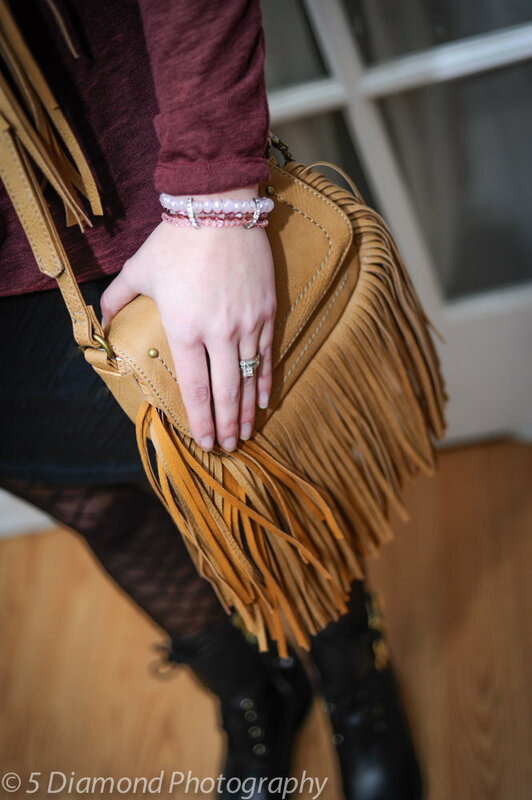 I love that fringe bag! !